Barça trained on Thursday morning on Field 2 at the Ciutat Esportiva Joan Gamper to begin preparing for Saturday's game versus Athletic Club at Camp Nou. GET TICKETS! On Thursday morning, a little more than 12 hours after the team’s first defeat of the season, a 2–1 loss at Leganés, Barça manager Ernesto Valverde had his men back out in the training pitch to begin preparing for Saturday’s match versus Athletic Club Bilbao. 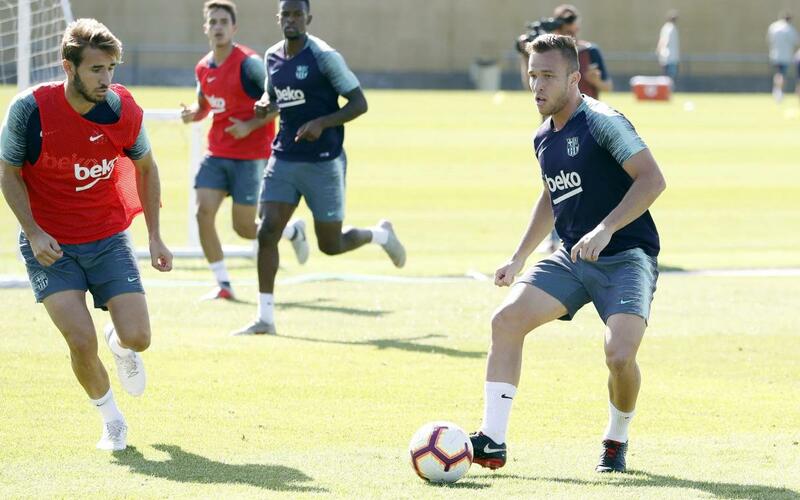 The workout was held on Field 2 at the Ciutat Esportiva, where all available players took part, plus the Barça B players Iñaki Peña, Miranda, and Riqui Puig. Wednesday night’s starters went through a recovery session. Barça’s next training session is set for Friday at 11.00am CEST. That workout will be the team’s last before welcoming Athletic Club to Camp Nou on Saturday. Kickoff is set for 4.15pm CEST. Following Friday’s training session, the coaching staff will announce the squad list for the Athletic duel, and Valverde will appear at his usual pre-game press conference.